THURSDAY, October 4: Wrap yourself in a sweater and grab a can of Big Hop Harvest,our wet-hopped version of BigHop Ale! Or listen to those leaves crunch with a crisp Green Giant Citra IPA. Releasing in 16oz cans, $15 for a 4 pack of each, at 11am when the Taproom in the Strip opens, 4pm when the Brewpub opens. More info on the event page HERE. Bourbon Barrel Aged Nunkin Ale 6.8% Remember when people got upset that their beloved pumpkin beers didn't actually have pumpkins in them? It was a thing, kind of? Anyway, we're proud to say that our Nunkin Ale has never and will never have any pumpkins in it.. none! Just a well made spiced ale that's been aged for a year in bourbon barrels. Get it on draft or grab some cans for the perfect fireside drink. Green Giant NITRO with Passionfruit 7.2% How can you make Green Giant Citra IPA better? Well we put it on nitro and dosed a small batch with passionfruit to give it a fruity smoothness that you've got to try. On draft now, but hurry, this won't last long! Sour+Fruit Beer fans rejoice! Guabba Guabba Hey and Inscrutable Drupe are BOTH on tap at the brewery right now, as we are making the most of the fall fruit harvest right now. Black Strap Stout 5.2% On the horizon for fall & winter is our big, bold, roasty stout. One of our original recipes, it's still brewed with real Pennsylvania black strap molasses. Snow Melt Winter Ale 7% Our favorite frost-melter and eyeglass defogger will be returning soon. And just like those 16oz Green Giant cans, these will also be heading to distribution, so even if you can't make it in to see us, you'll soon be able to find some in stock at a beer store near you. 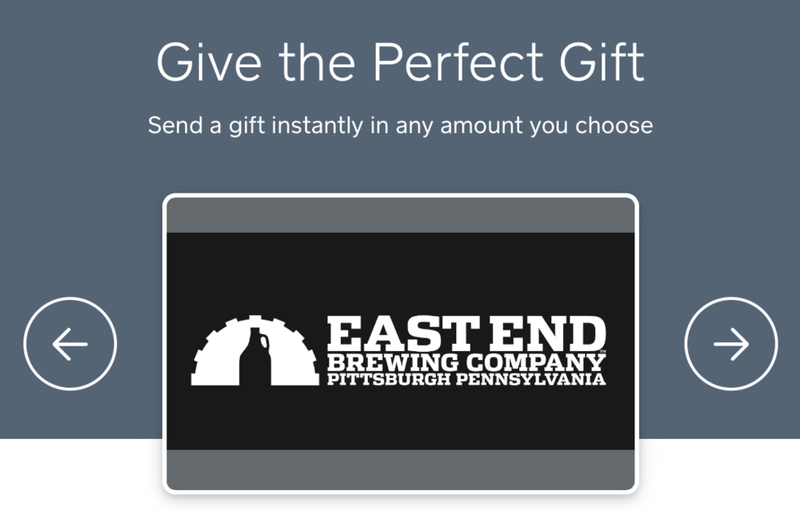 Join us at the Pittsburgh Food Truck Park in Millvale for an East End Brewing Tap Takeover this weekend! Our beers will be flowing on Friday from 5-10pm and Saturday 11am-10pm. Come say hello and enjoy some FRESH LOCAL BEER. On Friday, October 12 we're debuting a new art show in the Taproom in the Strip, BUILDINGS by local artist Mundania (Dane) Horvath. Horvath redraws existing buildings, both famous and local, in her own style that emphasizes the unique qualities of each structure. Join us from 6-9pm for a reception with the artist! It's baaaaack! Our popular pairing of Halloween candy with our beers returns on Saturday October 27 & 28th! Stop by to get a mini candy paired with one of our beers, and see if you agree with the choices made by our cicerone (that's fancy talk for "beer expert"). More details coming soon. We've been in construction at the Brewery pretty much continuously for the last 5 or 6 years now. Usually, a lot of this work is happening behind the scenes, but this month we've started working on some big improvements in our Front of House that you'll definitely notice the next time you stop by. In addition to the kitchen build-out, and the new booths that landed last month, we're putting in a couple of nice big windows to bring some natural light into the space. Fancy, right? Granted, we're not at scented-candles-in-the-rest-rooms fancy yet, but we're definitely getting closer. Our trademarked slogan is "BUY A GOOD FRIEND A GOOD BEER," and we've just made that even easier for you! Click on the link here to buy that friend a beer (on the internets!). They'll receive an email that they can redeem anytime at either location. Perfect for birthdays, holidays, or just buying a good friend a good...well, you get it. Ever thought to yourself, "Gee, I like beer. But how is it made? I sure wish there was a tour that showed me the day-to-day workings of a local brewery, along with samples and a $15 voucher to buy beer on the way out"? Well if you did, that's oddly specific. But you're in luck! You've perfectly described our GRAINS-TO-GLASS BREWERY TOUR! Click here for tickets to the October 20th tour! We’ll be selling beer with our friends at Workshop PGH for First Fridays Unblurred on Penn Avenue this Friday, October 5! Join us from 7-11pm at 5135 Penn Ave for an art opening, wood burning, crafts, and more. Big Hop Harvest & Green Giant in cans! 11am in the Strip, 4pm in Larimer. PITTSBURGH FOOD TRUCK PARK TAP TAKEOVER, 5pm-10pm on Friday, 11am-10pm on Saturday. WORKSHOP PGH FIRST FRIDAY, 7-11pm at 5135 Penn Avenue. 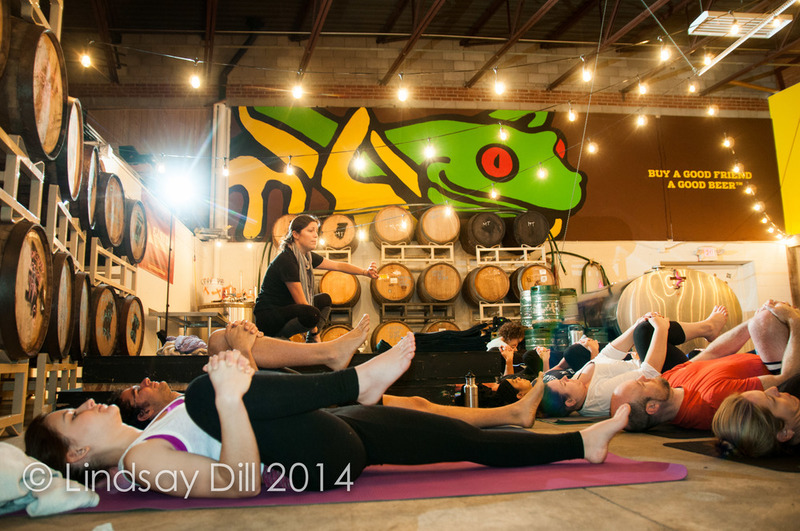 BEER BELLY YOGA 10am at the Brewpub in Larimer. Click here to rsvp!